Sterling Silver Protective Knot 1 Bracelet by Metal Arts Group. As each line crosses over the next it is believed that more protection will be granted to the wearer. This intricate knot work pattern can be found extensively in Celtic art. It is displayed as a sign of good luck, bringing positivity to ones life. 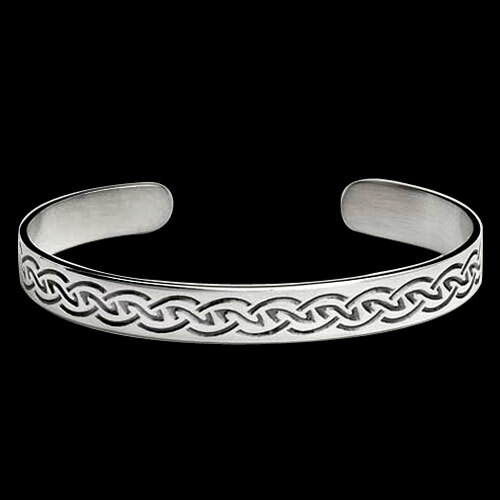 6.6 x 0.4 inch Sterling Silver Protective Knot 1 Bracelet by The Celtic Lady. Made in USA.